Representation of shear stress developing within patent alveoli sharing common walls with a collapsed or non-expanding alveolus. Common clinical measurements and their biophysical correlates. VT = tidal volume, Pplat = plateau pressure. 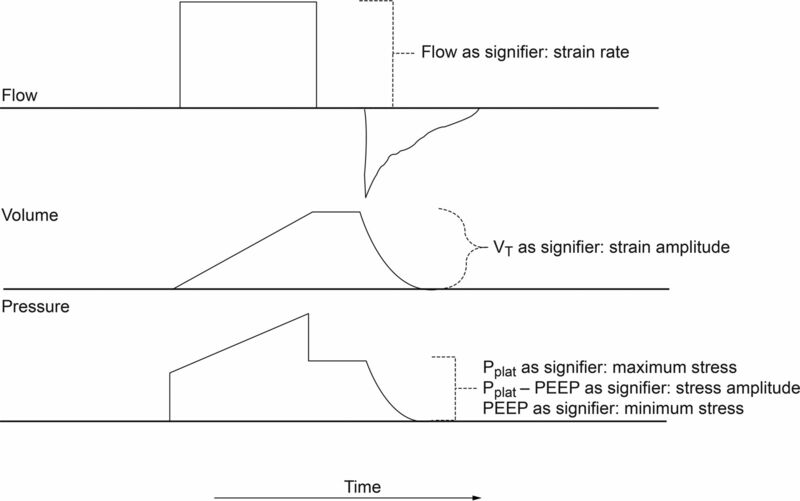 Depiction of shear stress development from the breaking of liquid bridges (A) and liquid plugs (B) formed from pulmonary edema fluid in peripheral airways. The stars represent surface tension forces developed within the foam and plug that are transmitted to the surface of airway epithelium. 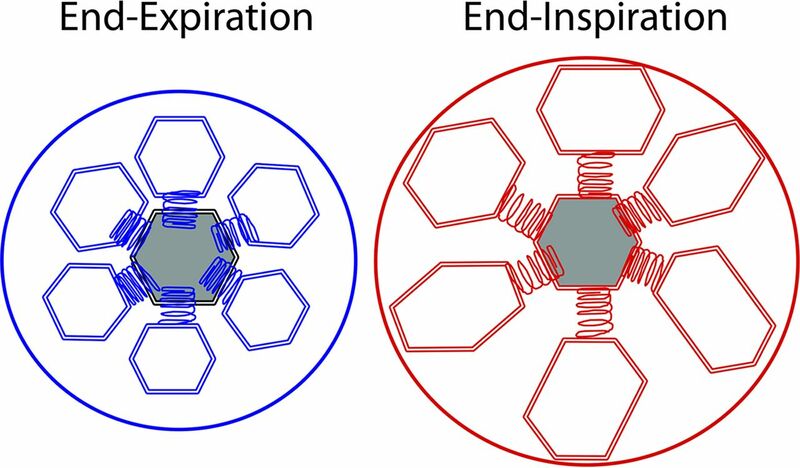 During inspiration, as the foam menisci are broken and plugs are displaced distally, shear forces develop between the displaced liquid and the relatively stable epithelial cell membranes. 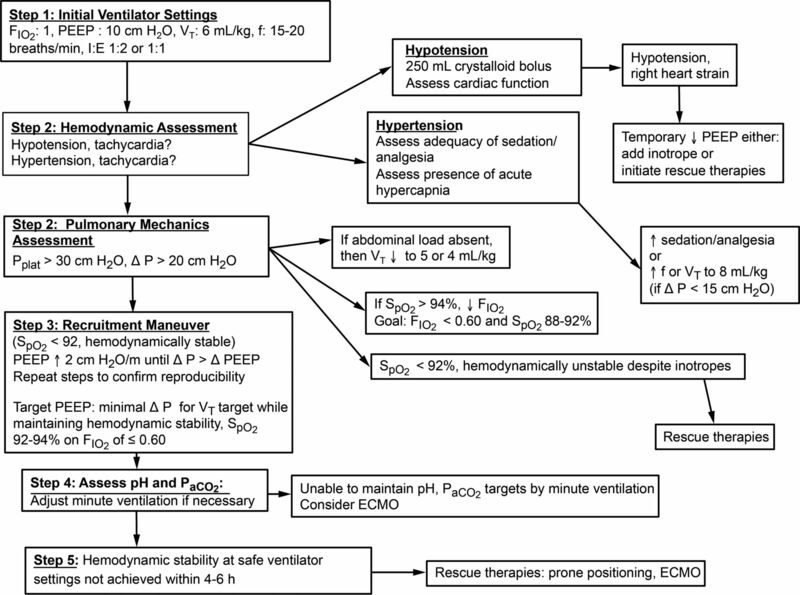 Schematic representation of a pragmatic guide to safer ventilator management of unstable patients with severe lung injury. ECMO = extracorporeal membrane oxygenation, Pplat = plateau pressure.